Sorry about last week. I was… tired? overwhelmed? busy? I honestly can’t remember. Anyhow, I’d like to tip my hat to Lisaleh for posting last week. Check out what she was working on. Maybe she’ll have an update for us later today. Do you wanna see some pictures? Do you? Huh? 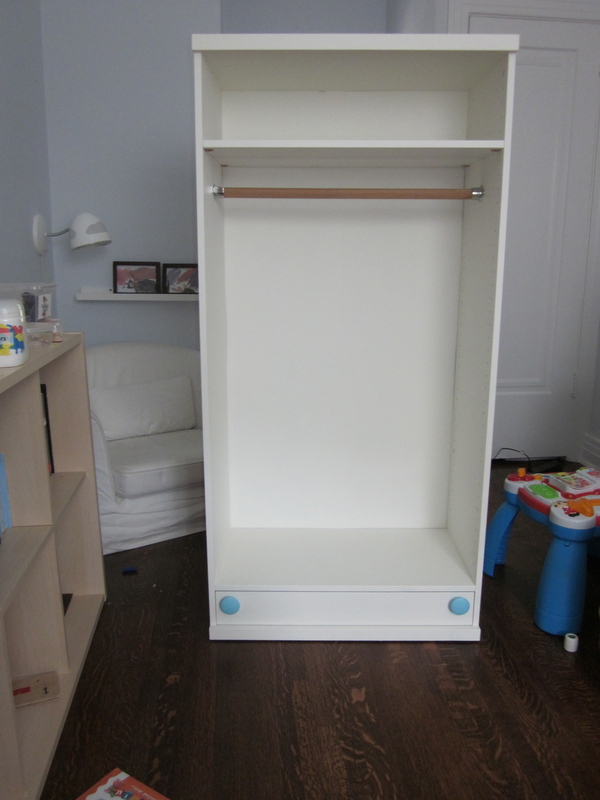 Here’s the wardrobe I did for the kids: there’s a before and an after… and a pic of the wardrobe being used as intended. Now, to anyone saying, “I liked it better before!” … well, nyah. 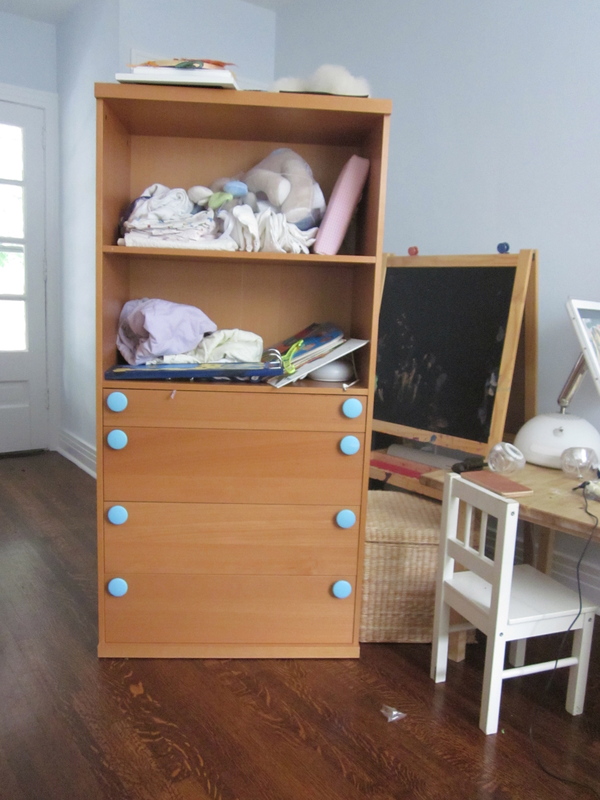 But in all seriousness, it didn’t function the way I needed it to, and the wood finish added another colour to the room, and I needed it to blend in with the other furniture rather than stand out. 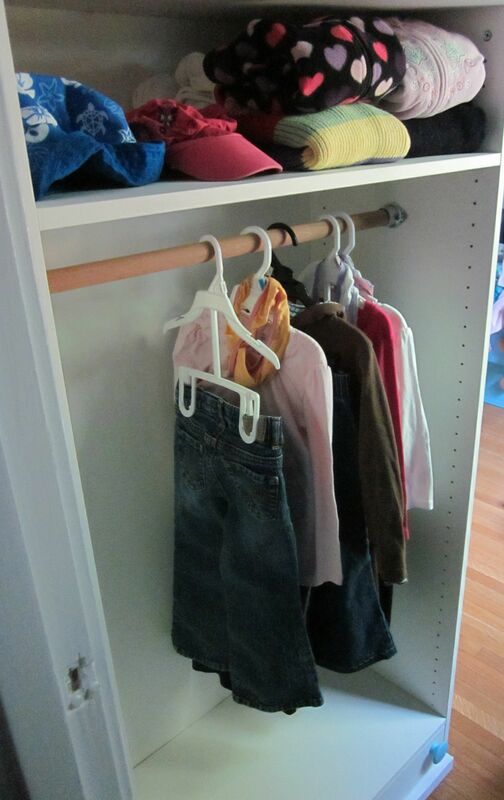 With three kids and all their clothes in one room, I’m trying to keep it as visually restful as possible. I’m 37 weeks pregnant today, which means if I went into labour right now I’d be able to have the homebirth we’ve planned and everything would likely be fine. I’m in serious denial, though. I need to pack a hospital bag (just in case) and get the homebirth supplies assembled in one place so everything is ready. Based on my track record, there won’t be time to be looking for stuff once labour starts… so that’s my priority right now. Well, it’s not in progress yet, but I do hope to get around to it this weekend. I’ll be posting a tutorial for those of you who want to make your own! And that’s it. Happy Wednesday!